My oldest turned 5 a few weeks ago! I am in awe of how quickly the time goes, and each passing birthday just reminds me of that. She is our little princess, who loves pink and dressing up. 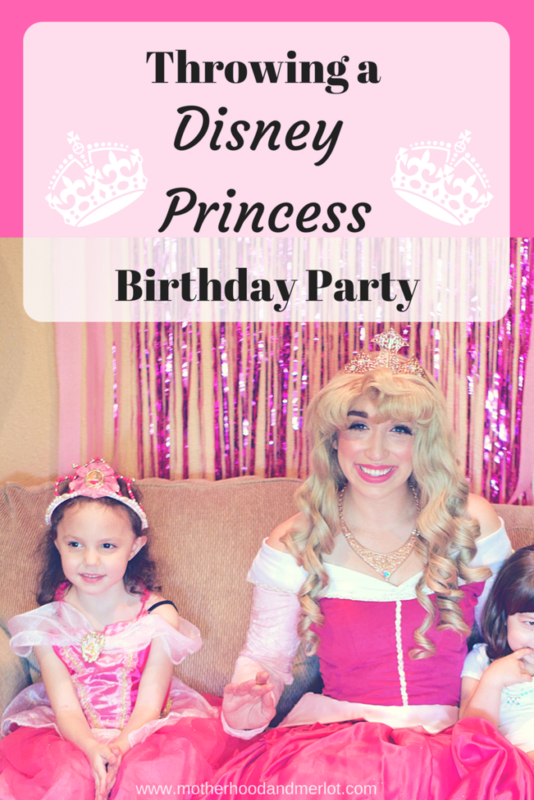 What better way to celebrate her big day than by throwing her a Disney princess party?! There was no doubt in my mind that this is the type of party she would want. I can’t just do a “small get together”. Even if we are only inviting a handful of family and friends, I still have to make the party one that she will remember forever. *This post was done in collaboration with Oriental Trading Company and A Child’s Dream Entertainment. All opinions, thoughts, and photos are my own. I would say the first step in throwing a Disney princess party is to pick who your main princess(es) will be. I wanted to make sure that we had one main princess for the activities and the cake theme, etc… Our choice was Aurora, aka Sleeping Beauty, because she is my daughter’s absolute favorite princess! I themed most of the decor with Aurora’s style, very pink and very feminine. We got all of the decor for this party from Oriental Trading Co and I am so thrilled that I was able to easily pick it all out and have it shipped from the same place. I am big into online shopping when throwing parties. They have a section dedicated to princess parties, which made it even easier to shop! 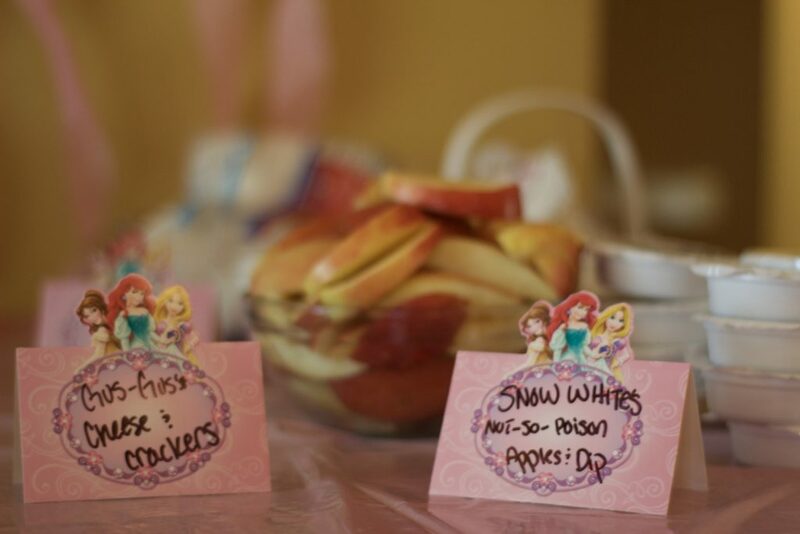 For the food, we went with all things Disney princess related. I thought of any princess I could and made a little appetizer that correlated with her, her story, or another character in her story. The little cards I used to label everything are again from Oriental Trading, and they came in really handy for this. Food that is easy to just grab and walk around with is so great when you have a lot of little kids around who don’t want to sit down and eat a full plate, so this menu was a win for us. 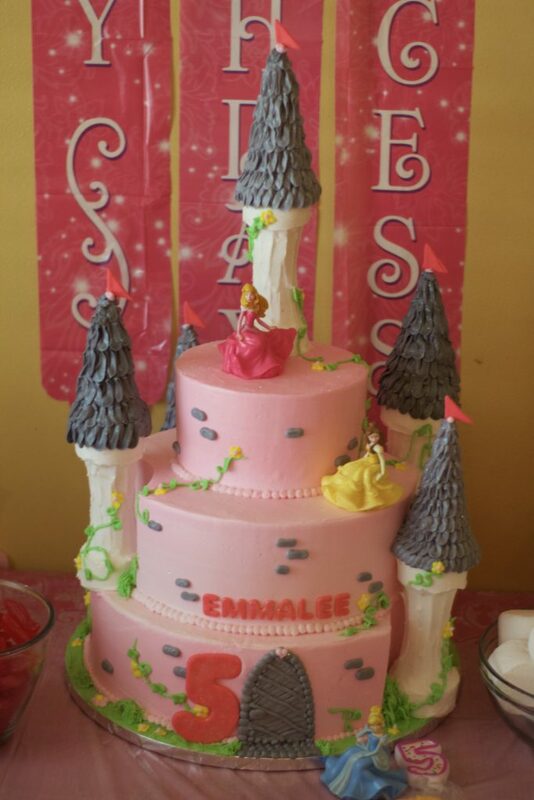 The cake was the star of the show, and was made specially for our little princess by her aunt at Cakes Take Shape. Isn’t it amazing?! For the activities, I wanted to do something really special. We typically do a jump house or something of that nature. However, this was a Disney princess party, so I only saw it fitting to bring in a real life princess! 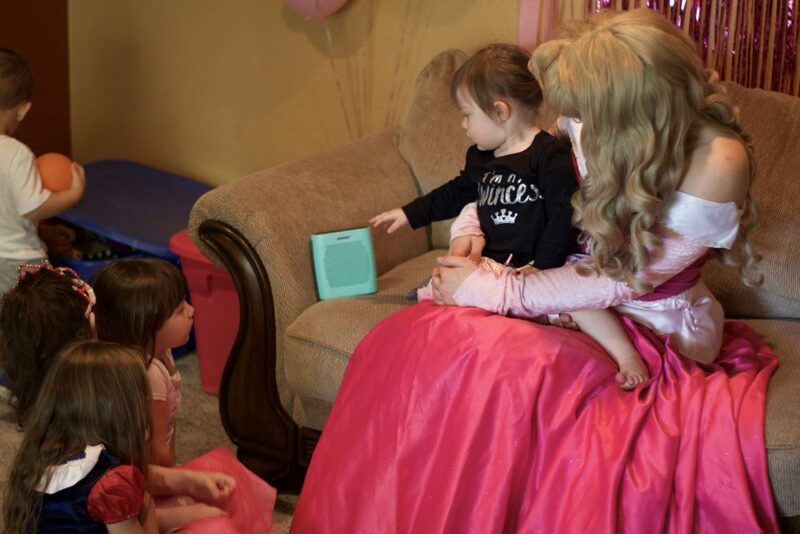 I partnered up with A Child’s Dream Entertainment here in Arizona to have our own Princess Aurora at this birthday party. I love this company for so many reasons! They do a ton of charity work, and their staff is just amazing. Their characters sing (check out some videos here), dance, read stories, and provide fun activities for all ages! All of their cast members are theatrically trained to bring a unique and authentic performance to the party, which I agree with 100%! My daughter was in absolute amazement when she answered the door and her idol, Sleeping Beauty, was there in person! The princess runs the party while they are there, and does a ton of different activities with the kids there. Our princess was there for an hour, and did so many fun things with the guests and our birthday girl. She sang them some songs, which was wonderful because her voice was absolutely beautiful! My youngest daughter just wanted to sit on her lap the entire time. She gave them all “princess makeovers” with makeup and nail polish. They also read a story, danced together, and my daughter got to go through an official coronation! The girls were just in awe of her! It was the sweetest thing to watch. This company serves all of Arizona, and is willing to travel for certain requests. 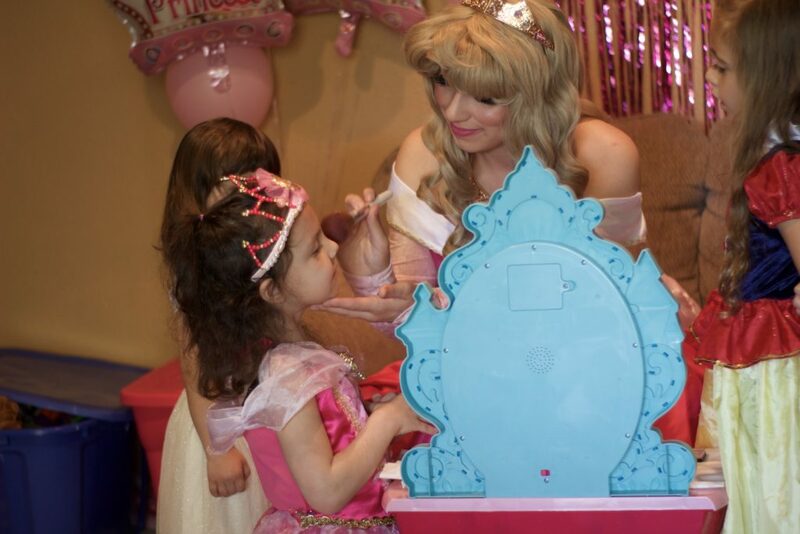 If you are looking for a princess, hero, or another special character for your child’s birthday, I highly recommend checking them out on Facebook or their website, A Child’s Dream Entertainment. Who is your child’s (or yourself) favorite Disney Princess? Mine has always been Belle or Mulan, but I love them all! First of all I love your creative food choices! Also, the princess entertainment sounds great! I love that she’s not just there, she actually does things with the kids. What a lovely party. The princess was fantastic:) The kids all loved her! This is beyond adorable! I’ll have to send this over to my cousin for her daughter’s birthday party! The party looks beautiful! Love the details! And the fact that Aurora interacted with the little ones, that is just so sweet! This is so great! My daughter would love a party like this. Thanks for sharing and your pictures are adorable. What a cute and fun party! This is so much fun! I love the fun ways you used fruit! That cake is fabulous too! I am a sucker for all things Disney. 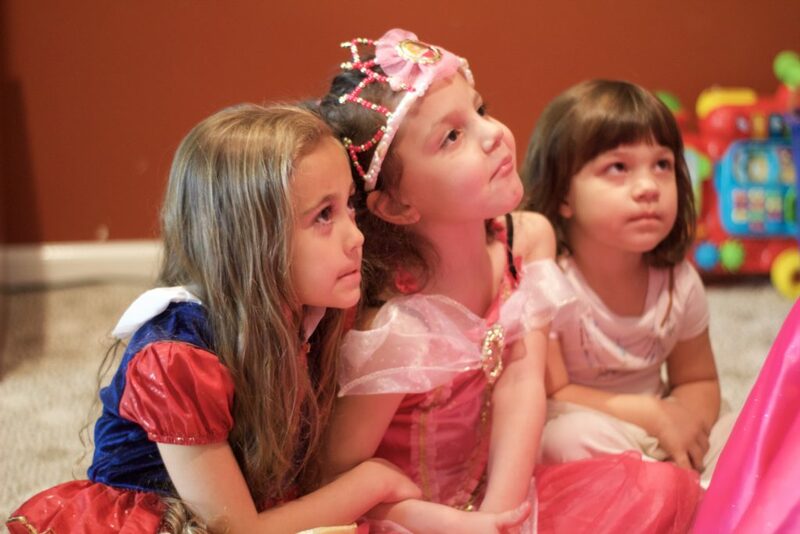 It’s why I am so thankful I have two daughters… bring on the princess parties. I would’ve died for a party like this! And whoever did your cake did a phenomenal buttercream job. Omg what a cute birthday party!!!! 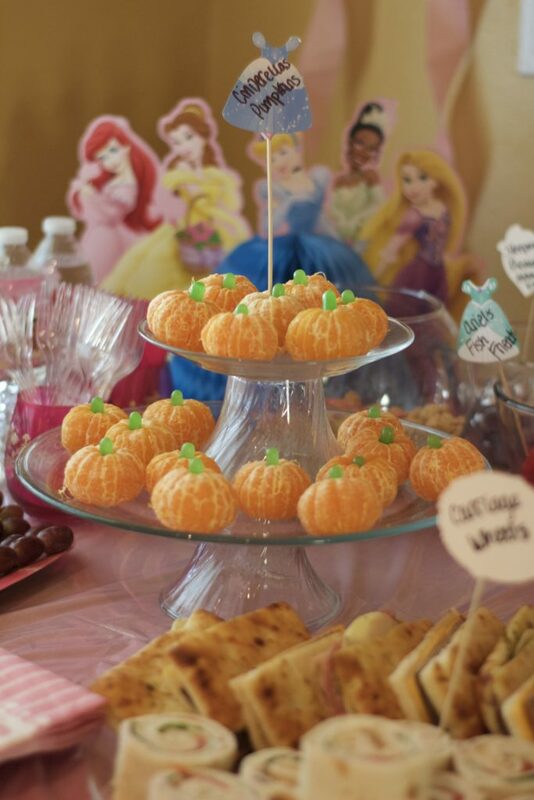 My daughter is all about princesses right now so she would die for a party like this!!! Oh how cute!!!! 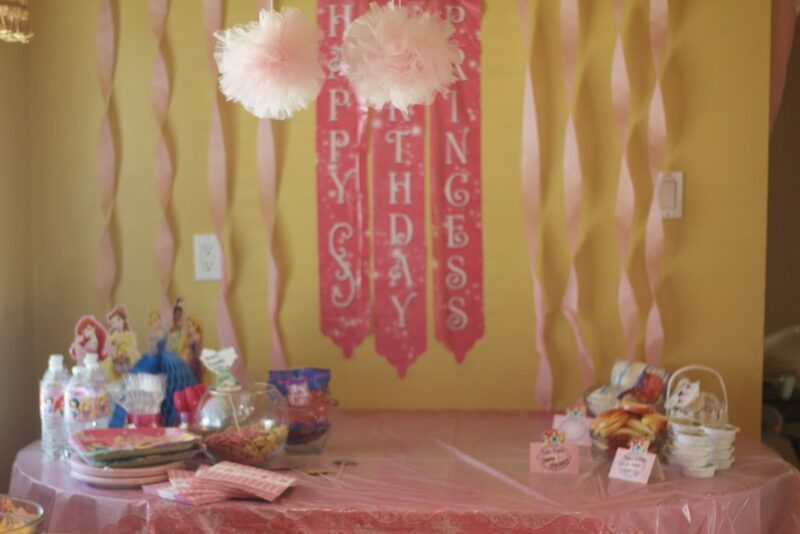 My oldest turned 5 on the 12th and we had a princess party too!! What an adorable birthday party! This party looks like so much fun! I can’t wait until our daughter starts loving the Disney Princesses. Umm that is THE CUTEST cake! and I’m in love with the cuties! This is a precious party! 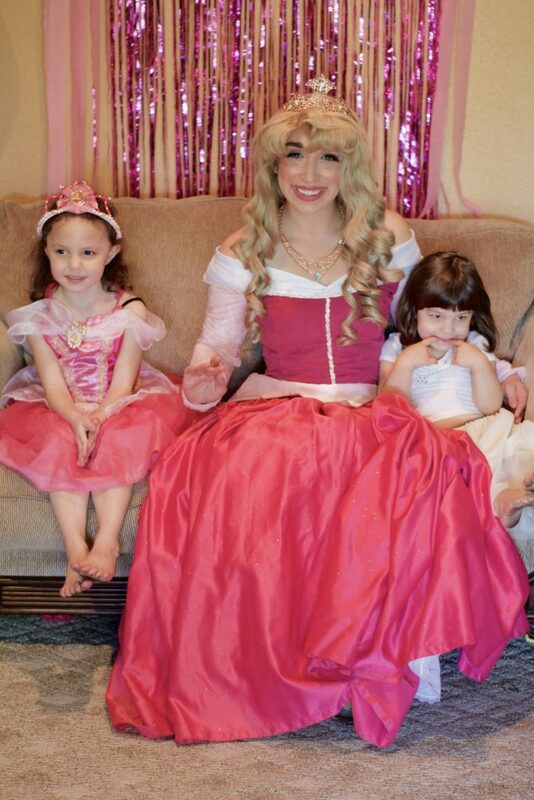 Having a “real” princess is so magical for kids!